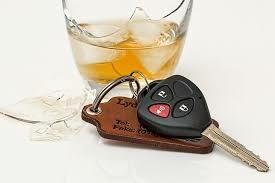 Every year in the US approximately 10,000 people die in car accidents caused by drunk drivers. In an effort to prevent these types of accidents, states have been introducing Ignition Interlock Laws. The ignition interlock is a device that is connected to the ignition of a car. When a driver wants to start a car with this type of device he has to breath in the ignition interlock. 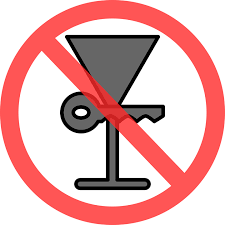 If alcohol is detected and is above the legal BAC limit for the state, the car doesn’t start. All states now have ignition interlock laws but some are more permissive than others. Globally there are 3 types of laws. “Permissive” laws are at the discretion of the judge or other sentencing authority. “Partial Laws” apply only to a certain type of offenders for example only repeat DUI offenders. Mandatory Laws apply to all drivers convicted of DUI. At the beginning of last year, 26 states had mandatory laws, 22 had partial laws and 2 had permissive laws. A recent study published in the American Journal of Preventive Medicine found that states with mandatory ignition interlock laws had a 7% decline in fatal crashes related to DUI. The study was conducted by Emma E. McGinty, PhD, MS; Gregory Tung, PhD, MPH,; Juliana Shulman-Laniel, MPH; Rose Hardy, MPH; Lainie Rutkow, JD, PhD, MPH; Shannon Frattaroli, PhD, MPH; and Jon S. Vernick, JD, MPH all from Johns Hopkins Bloomberg School of Public Health and Colorado School of Public Health. The researches analyzed crash data from the National Highway Traffic Safety Administration’s Fatality Analysis Reporting System (FARS) over a 32 year period. They compared the number of alcohol related fatal crashes before and after the ignition interlock laws were adopted by the various states. The study demonstrates that mandatory ignition laws are much more effective than the permissive or partial laws at preventing drunk driving fatal accidents. A young drunk driver was caught driving the wrong way on the Long Island Expressway in Queens, NYC, early yesterday morning. 23 year old Ivan Ceron was charged with drunk driving, driving an unregistered vehicle and driving below the minimum posted speed. Several people called 911 to alert the police. Thankfully no one was hurt unlike previous incidents of reckless driving that recently occurred on the LIE. On August 31st , 3 people died and 11 were injured in a traffic accident on the Long Island Expressway near Maurice Ave in Queens. Results of preliminary investigation show that speed caused the accident. 10 days earlier 5 people died and six suffered injury in another crash related to speed on the LIE. Among those who died was an ex-Cuomo aid. A livery car crashed into scaffolding and injured several people including a child. ABC7 reported that the crash occurred Saturday night around 9:45 pm in Harlem, New York. Very few details were provided as to what caused the crash and who were the victims. Pictures however show that the impact was strong as it destroyed the scaffolding. Less than 24 hours earlier in Harlem, a pedestrian was seriously injured by a hit and run driver. The 32 year old man was visiting from Syracuse. The man was crossing Broadway near 125th street when he was struck by a car. The car must have hit the pedestrian at high speed as its bumper fell off after the crash. Despite a man on the ground and part of his car missing, the driver sped off and disappeared into the night. The police are still looking for him. The pedestrian was transported to the hospital. He suffered face injuries and a fractured left elbow according to the NY Daily News. In Brooklyn, two people were injured in a crash involving a police car. The crash took place Monday afternoon in Park Slope according to the NY Daily News . A woman died in a car accident in New York Yesterday. The accident was caused by a drunk driver. 49 year old Aissatou Diallo was travelling with her 16 year old son on the Brooklyn-Queens Expressway on their way to a wedding. A relative who was traveling in front of them had a flat tire. They stopped to help him. As Aissatou was waiting next to her car, a drunk driver rear ended her car. The car careened into the mother and sent her flying off the elevated highway. After the accident, the drunk driver tried to flee the scene of the accident on foot. He was chased by Diallo’s son who caught him and held him until the arrival of the police. Diallo’s son told the police that the driver, 43 year old Vladimir Menin, was so drunk that he couldn’t speak coherently. Aissatou Diallo was transported to the hospital in critical condition. She later died from her injuries. 32 year old Michelle Mignott was killed in a car accident in New York City in 2014. The two reckless drivers who were indicted in the accident will be tried in August if they don’t accept a plea deal. Richard Roman-Santos and Gerard Herbert both charged with vehicular manslaughter appeared yesterday in front of Brooklyn Supreme Court Justice Vincent Del Giudice. The judge told then that if no plea agreement was reached the case would go to trial on August 1st. The two men were previously offered 3 to 9 years in jail if they pleaded guilty but they both refused. On August 17th 2014, Herbert was driving in Brooklyn with two female passengers. One of them, Michelle Mignott was lying on the back seat. As he was making a left turn, Roman-Santos who was driving at a speed of 94 miles per hours crashed into him. Mignott was killed in the accident. Herbert who first refused to take a breathalyzer was later tested with .20. Roman Santos accepted the breathalyzer and was found to be at the limit of .08. The two men are expected to be back in front of the judge on June 7th and will have to say if they accept the plea deal or not. A cab driver died and a woman were injured in a car crash in Long Island, NY, early Saturday morning. 23 year old Duke Obule was drunk and speeding behind the wheel of a luxury sports car when he lost control of the vehicle at the intersection of Hempstead Turnpike and Lincoln Road in Franklin Square. The impact was so strong that the taxi careened all the way across Hempstead Turnpike and crashed into a utility pole. The cab driver was killed in the accident. The drunk driver fled the scene of the accident by foot leaving behind an injured 20 year old woman who was in the car with him at the time of the accident. She suffered a broken ankle and was taken to the hospital. Obule was caught by the police an hour later on Hempstead Turnpike, a mile away from the accident. Not only was Obule drunk driving and speeding but he also had no license. He faces 10 charges including manslaughter and DWI. According to residents Hempstead Turnpike has a history of speeding and accidents. 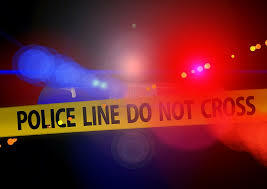 A pedestrian died and another one suffered personal injury after they were struck by a drunk driver in Washington Heights, New York City, early Saturday. The two pedestrians, a man and a woman in their 40ies were walking on West 181st Street near Amsterdam Avenue when a car crashed into them. The driver, identified as 34 year old Jonathan Segura, was drunk. He had just exited the George Washington Bridge when he lost control of his vehicle and slammed into the pedestrians. He sped off in the night but returned later to the police station to surrender. He was charged with drunk driving, leaving the scene of an accident, vehicular manslaughter and criminally negligent homicide. 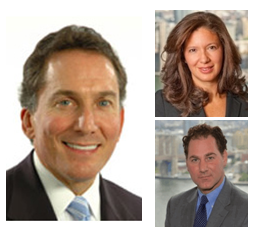 We are proud to announce that a bicycle accident verdict and an auto accident settlement obtained by our New York personal injury attorneys have been listed in the 2015 New York Law Journal’s New York’s Verdict & Settlement Hall of Fame. Induction into the New York’s Verdicts and Settlements Hall of Fame is based on five years of verdicts and settlements submitted to the Verdict Search database. Those cases that could not be submitted due to confidentiality restraints were not considered. The practice area focus for this year’s Hall of Fame honors is Motor Vehicle. The two cases handled by our firm that made it to the Hall of Fame are “Ortiz v. New York Transit Authority” and “Estate of Farinacci v. Powell”. In the first case, our personal injury attorneys Ben Rubinowitz and Peter Saghir obtained a $8.57 million verdict for a bicyclist who suffered degloving injuries to her leg after being struck by a MTA bus in Manhattan. In the second case, attorneys Ben Rubinowitz and Diana Carnemolla obtained a $8 million settlement for the husband and the 4 year old child of a 22 year old mother who was killed by a drunk driver. This settlement was the largest award in the State of New York for the wrongful death of a mother leaving one child surviving her.